Everyone loves pizza! But the teenage mutant ninja turtles love it more! 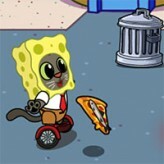 Help the ninjas defeat bad guys and get their reward pizzas in TNMT Pizza Quest! Will you be able to help the TMNT eat the most expensive pizza? Good luck! 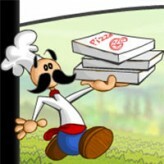 TNMT Pizza Quest is an action-strategy video with a mix of RPG and incremental clicker. 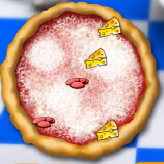 In this game, the ninjas must fight enemies that are slowly getting stronger each time, to get their reward pizza. Earn money by defeating the enemies quicker and use the money to upgrade items, buy furtnitures and accessories, and buy all the famous pizza in the menu! Will you help the team get a taste of the extremely good pizza The Tuna, PB, and Jelly? There have been 288 plays and 2 likes from 2 votes (100%) since 19/04/2017. 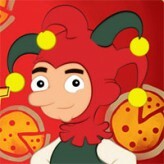 You are currently playing TNMT Pizza Quest game for free on Arcade Spot. It is a single game out of a variety of games that you can play on Arcade Spot. 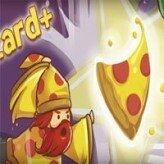 Play more games like TNMT Pizza Quest in the Action, HTML5, RPG, and Strategy gaming categories. This game has a rating of 100 out of 100 based on 2 user ratings. If you enjoyed playing the game, give it a thumbs up. Free Online Games and Arcade Games are added every day. Arcade Spot will bring you the best games without downloading and a fun online gaming experience on the internet.